The SpeedUpMyPC pop-up appeared on your machine without any notice? After that, you’re faced with the fact that your web browser is now rerouted to other unwanted web-sites and filled with a variety of advertisements and banners. The cause of all your problems with your machine is an adware (sometimes named ‘ad-supported’ software) that has been installed on many PC systems around the world without users permission, so you are one of many. Most probably, you do not even know how and where this ‘ad supported’ software has got into your PC. In the tutorial below, we will explain all the general features of ‘ad supported’ software and its typical behavior on the PC, as well as effective methods for manually removing it and SpeedUpMyPC pop-up ads from your computer for free. What is more, the ad supported software may display advertisements depend on a page that you are visiting. That is, it’s clear that this ad supported software, without your permission, steals your private information such as: your ip address, what is a web page you are viewing now, what you are looking for on the Internet, which links you are clicking, and much, much more. The adware may monetize its functionality by collecting data from your browsing sessions and selling it to third party companies. This puts your personal information at a security risk. 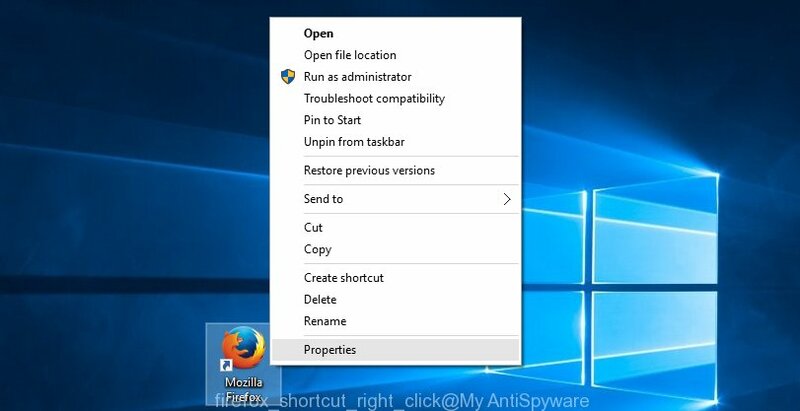 In addition to that, as was mentioned earlier, some ad supported software to also alter all internet browsers shortcuts that located on your Desktop or Start menu. So, every infected shortcut will try to redirect your web browser to unwanted ad web-sites such as SpeedUpMyPC, certain of which might be harmful. It can make the whole machine more vulnerable to hacker attacks. So, obviously, you need to remove the adware as soon as possible. Use the free guidance below. 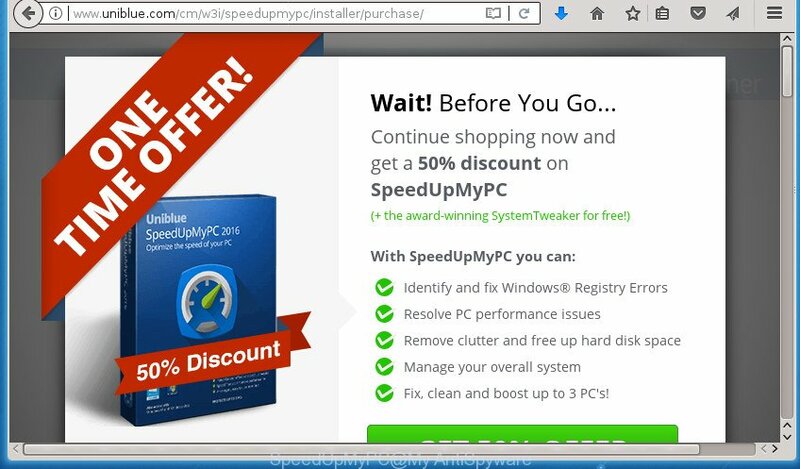 This guide will help you clean your PC of adware and thereby remove the SpeedUpMyPC undesired pop up advertisements. Even if you have the up-to-date classic antivirus installed, and you have checked your computer for malicious software and removed anything found, you need to do the guide below. The SpeedUpMyPC ads removal is not simple as installing another antivirus. Classic antivirus software are not created to run together and will conflict with each other, or possibly crash Windows. Instead we suggest complete the manual steps below after that use Zemana Free, MalwareBytes or AdwCleaner, which are free applications dedicated to find and remove adware that reroutes your browser to intrusive SpeedUpMyPC page. Run these tools to ensure the ad supported software is removed. If you perform exactly the few simple steps below you should be able to delete the SpeedUpMyPC ads from the Chrome, Firefox, Microsoft Internet Explorer and MS Edge internet browsers. It’s of primary importance to first identify and remove all potentially unwanted software, adware software and hijackers through ‘Add/Remove Programs’ (Windows XP) or ‘Uninstall a program’ (Windows 10, 8, 7) section of your Windows Control Panel. Then click OK to save changes. Repeat the step for all browsers that are rerouted to the SpeedUpMyPC undesired web-site. Once installed, the adware can add a task in to the Windows Task Scheduler Library. Due to this, every time when you start your computer, it will open SpeedUpMyPC annoying page. So, you need to check the Task Scheduler Library and delete all malicious tasks which have been created by adware. In the middle part you will see a list of installed tasks. Please choose the first task, its properties will be display just below automatically. Next, click the Actions tab. Pay attention to that it launches on your machine. 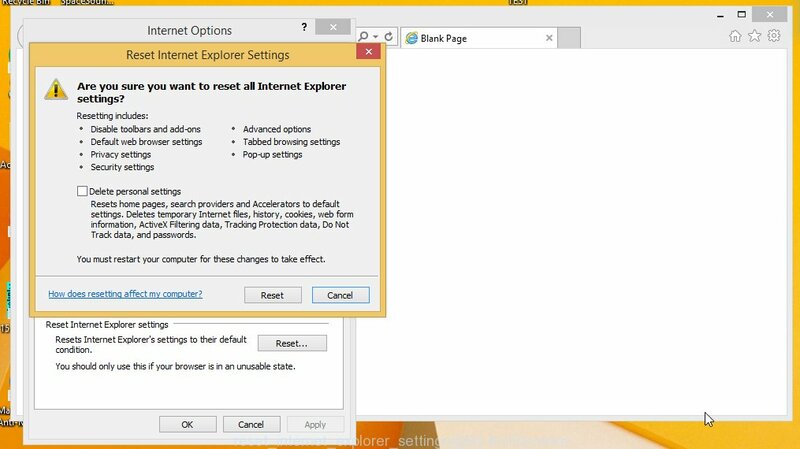 Found something like “explorer.exe http://site.address” or “chrome.exe http://site.address”, then get rid of this harmful task. If you are not sure that executes the task, check it through a search engine. If it is a component of the malicious program, then this task also should be removed. If your FF internet browser is re-directed to SpeedUpMyPC without your permission or an unknown search engine displays results for your search, then it may be time to perform the web browser reset. 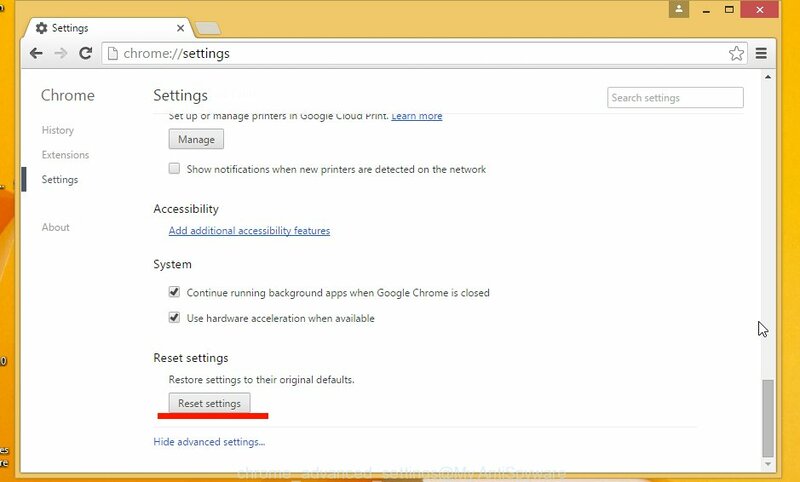 Use the Reset browser tool of the Chrome to reset all its settings such as homepage, newtab page and search engine by default to original defaults. This is a very useful tool to use, in the case of browser redirects to unwanted ad sites such as SpeedUpMyPC. First open the Chrome. Next, press the button in the form of three horizontal stripes ( ). It will show the main menu. Further, click the option named “Settings”. Another way to show the Chrome’s settings – type chrome://settings in the web browser adress bar and press Enter. 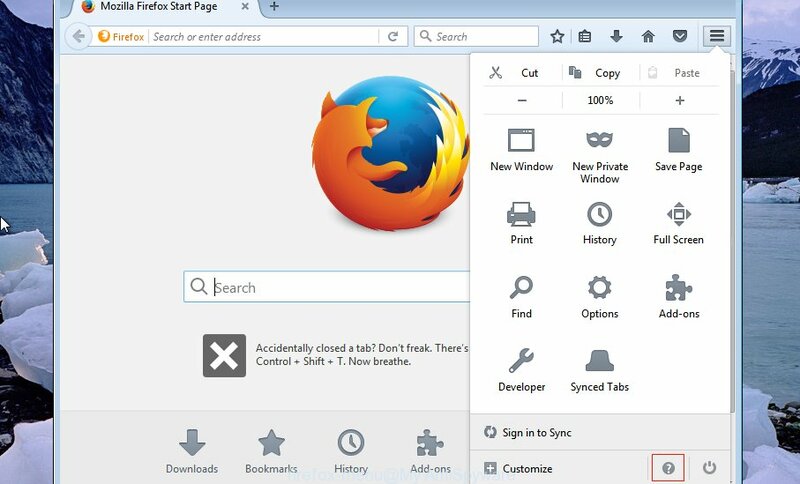 The web browser will show the settings screen. Scroll down to the bottom of the page and click the “Show advanced settings” link. Now scroll down until the “Reset settings” section is visible, as shown on the image below and click the “Reset settings” button. The Google Chrome will display the confirmation prompt. You need to confirm your action, click the “Reset” button. The web browser will launch the process of cleaning. When it’s finished, the internet browser’s settings including start page, new tab page and default search provider back to the values that have been when the Chrome was first installed on your system. Manual removal is not always as effective as you might think. Often, even the most experienced users can not completely remove adware which developed to reroute your web-browser to various ad pages such as SpeedUpMyPC. So, we recommend to scan your computer for any remaining malicious components with free adware removal applications below. We recommend using the Zemana Anti-malware that are completely clean your machine of the adware. The utility is an advanced malware removal program developed by (c) Zemana lab. It’s able to help you remove PUPs, browser hijackers, malware, toolbars, ransomware and ad supported software that causes web browsers to open annoying SpeedUpMyPC pop-up ads. 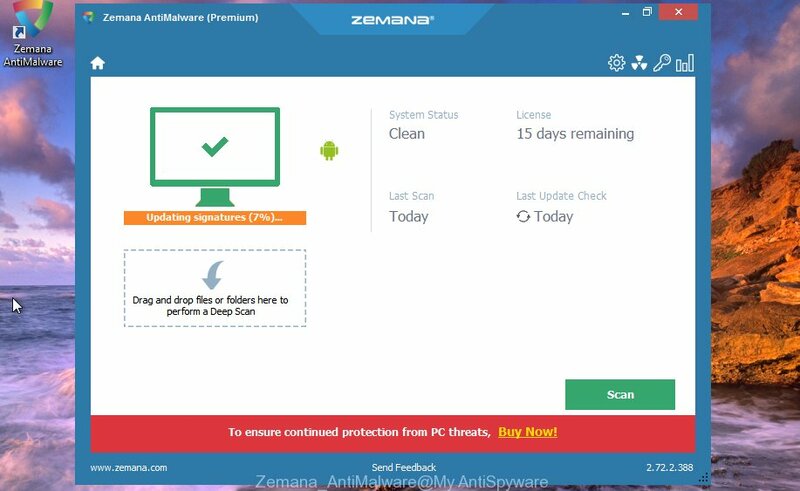 Download Zemana Anti-Malware (ZAM) by clicking on the link below. Save it on your Microsoft Windows desktop. When the download is complete, close all windows on your PC. Further, launch the install file named Zemana.AntiMalware.Setup. If the “User Account Control” prompt pops up as shown on the image below, click the “Yes” button. It will open the “Setup wizard” which will help you install Zemana Anti-Malware (ZAM) on the computer. Follow the prompts and do not make any changes to default settings. 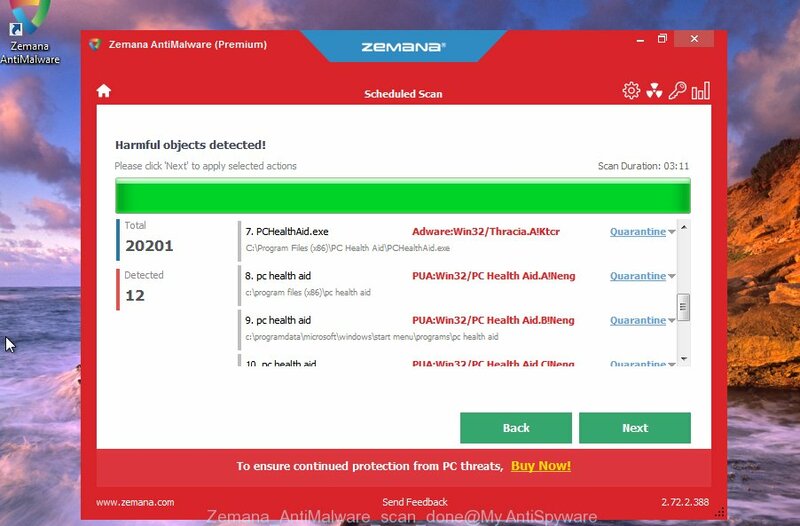 Once setup is complete successfully, Zemana Anti Malware (ZAM) will automatically launch and you may see its main window like below. Next, click the “Scan” button to perform a system scan for the ‘ad supported’ software that reroutes your web browser to annoying SpeedUpMyPC web-page. A scan can take anywhere from 10 to 30 minutes, depending on the number of files on your computer and the speed of your machine. While the Zemana Free utility is checking, you can see number of objects it has identified as being infected by malware. 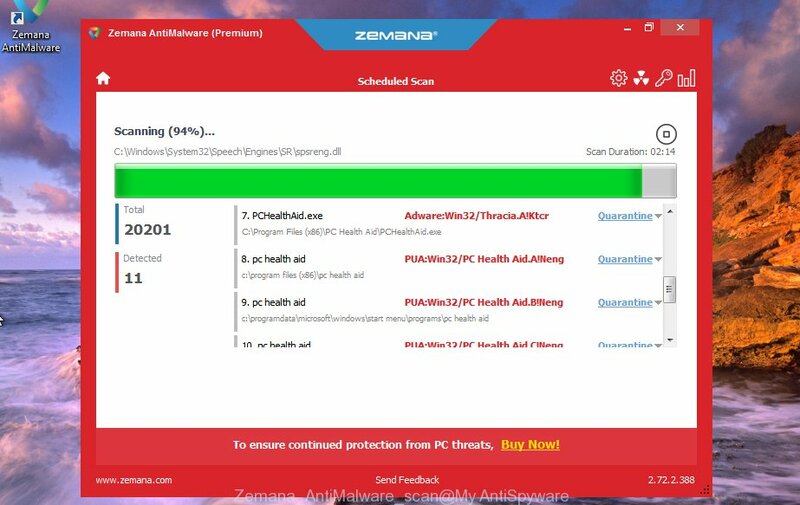 After the scanning is done, Zemana Anti-Malware will display a scan report. Next, you need to press “Next” button. The Zemana will get rid of ad-supported software which developed to redirect your web-browser to various ad web-sites such as SpeedUpMyPC and add threats to the Quarantine. Once the procedure is finished, you can be prompted to restart your PC system. We suggest using the Malwarebytes Free. You can download and install Malwarebytes to scan for adware and thereby delete SpeedUpMyPC popups from your web browsers. When installed and updated, the free malicious software remover will automatically scan and detect all threats present on the PC system. Once downloading is done, close all software and windows on your personal computer. Open a directory in which you saved it. Double-click on the icon that’s named mb3-setup. Once setup is finished, press the “Scan Now” button to begin scanning your computer for the ad-supported software which causes undesired SpeedUpMyPC pop ups. This procedure can take quite a while, so please be patient. During the scan MalwareBytes AntiMalware (MBAM) will detect all threats present on your PC. 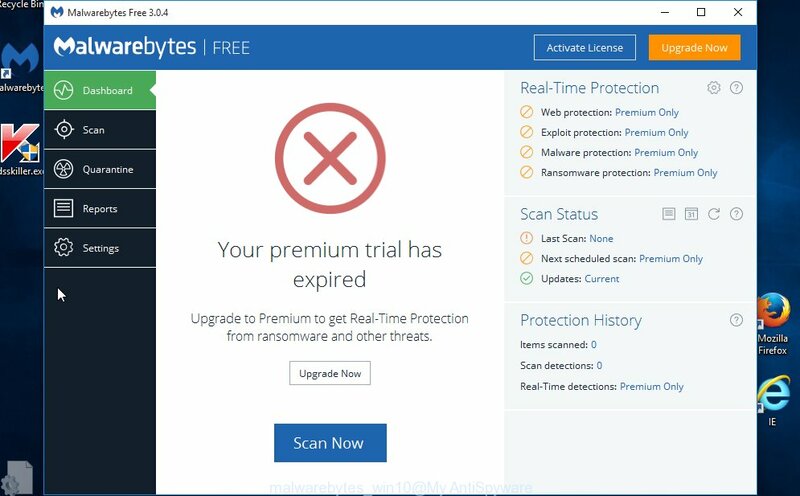 After that process is done, MalwareBytes Free will open you the results. When you are ready, click “Quarantine Selected”. Once the procedure is finished, you can be prompted to restart your PC. 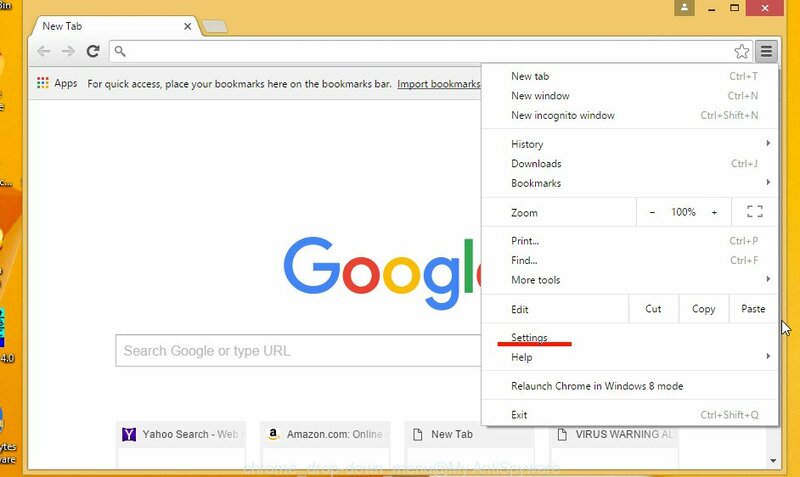 The following video offers a instructions on how to remove browser hijackers, ad-supported software and other malware with MalwareBytes Anti-Malware (MBAM). If MalwareBytes antimalware or Zemana Free cannot remove this ad supported software, then we suggests to use the AdwCleaner. 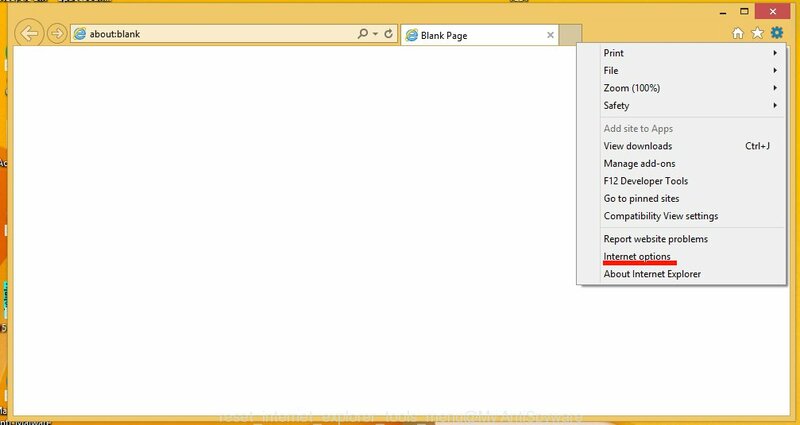 AdwCleaner is a free removal tool for hijackers, PUPs, toolbars and ad-supported software that developed to reroute your web browser to various ad pages like SpeedUpMyPC. In the AdwCleaner window, press the “Scan” . AdwCleaner utility will begin scanning the whole personal computer to find out adware that causes a huge count of annoying SpeedUpMyPC pop-up ads. This process can take quite a while, so please be patient. When a threat is found, the number of the security threats will change accordingly. Wait until the the scanning is done. Once the system scan is complete, AdwCleaner will show a screen which contains a list of malware that has been detected. Make sure all threats have ‘checkmark’ and click “Clean”. If the AdwCleaner will ask you to reboot your computer, click “OK”. It is also critical to protect your web-browsers from harmful pages and advertisements by using an ad-blocker application such as AdGuard. Security experts says that it will greatly reduce the risk of malware, and potentially save lots of money. Additionally, the AdGuard can also protect your privacy by blocking almost all trackers. After the setup is complete, press “Skip” to close the setup application and use the default settings, or press “Get Started” to see an quick tutorial that will allow you get to know AdGuard better. In most cases, the default settings are enough and you do not need to change anything. 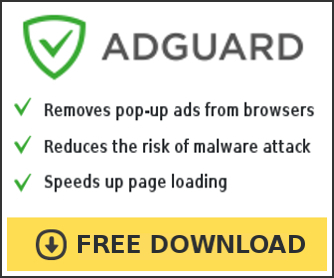 Each time, when you start your computer, AdGuard will start automatically and block advertisements, web-pages such SpeedUpMyPC, as well as other malicious or misleading pages. For an overview of all the features of the program, or to change its settings you can simply double-click on the icon named AdGuard, which may be found on your desktop. Now your PC system should be clean of the adware that causes multiple intrusive ads and pop ups. Uninstall AdwCleaner. We suggest that you keep Zemana (to periodically scan your PC for new adwares and other malware) and AdGuard (to help you stop unwanted popups and harmful sites). Moreover, to prevent adwares, please stay clear of unknown and third party software, make sure that your antivirus program, turn on the option to scan for PUPs (potentially unwanted programs). If you need more help with SpeedUpMyPC popup ads related issues, go to our Spyware/Malware removal forum.